Roasted chicken grilled on fire, barbeque. 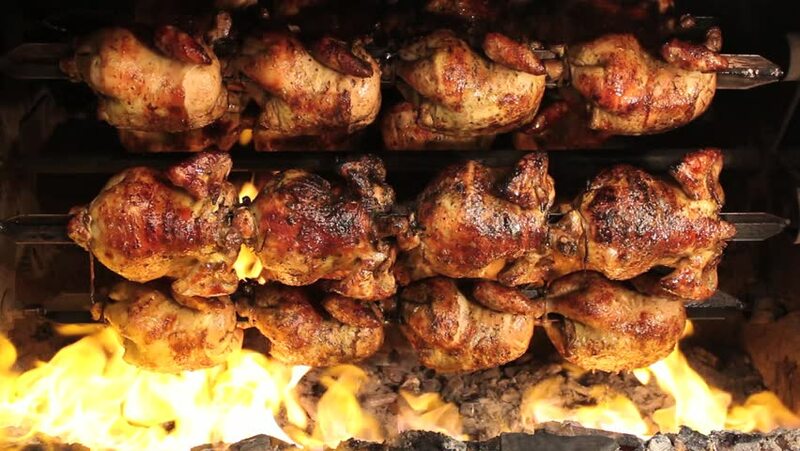 In South America called "pollo a la brasa"
hd00:10Roasted chicken grilled on fire, barbeque. In South America called "pollo a la brasa"
hd00:07Roasted pork ribs on charcoal stove, colorful fire eat hot until flowing. Appearance slightly burned.